​Students - follow the button below to see an example of what you will be asked to create. 3. 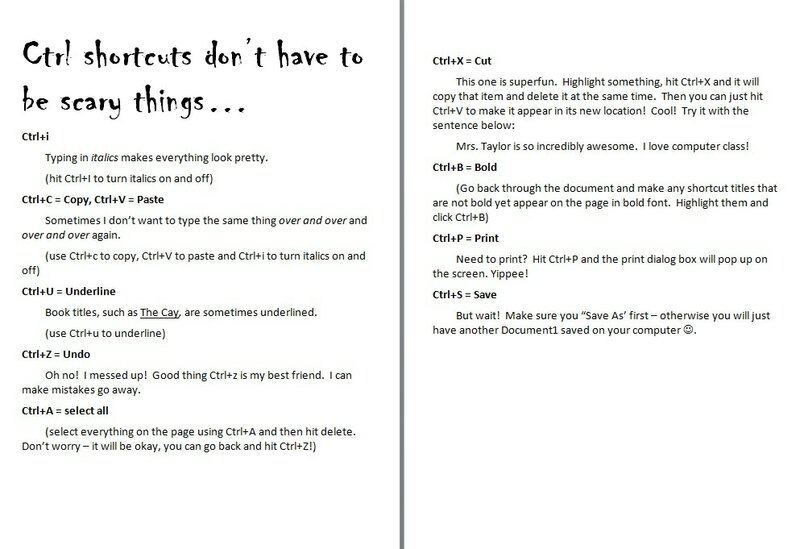 To begin working on a poster in MS word of the "Top Ten" keyboard shortcuts. Day 2 - students can continue working on kidblog but will also be introduced to the poster assignment for keyboard shortcuts in MS word. At some point during the class they will take a one minute timed test without looking at fingers to determine a real baseline of WPM.